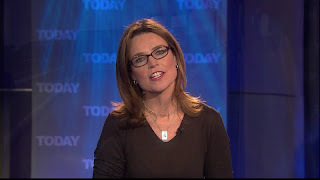 Savannah Guthrie is an American journalist and attorney, presently serving as White House correspondent for NBC News and the co-host of the MSNBC show The Daily Rundown. Guthrie, who joined NBC in September 2007, is often charged with reporting on trials throughout the country. She has covered many high profile legal proceedings including the Senate Judiciary Committee confirmation hearings of then U.S. Supreme Court nominee Samuel Alito, the abduction and murder trial of Carlie Brucia, the Martha Stewart case, and the Michael Jackson trial. She has appeared as a legal analyst on a variety of network news programs.